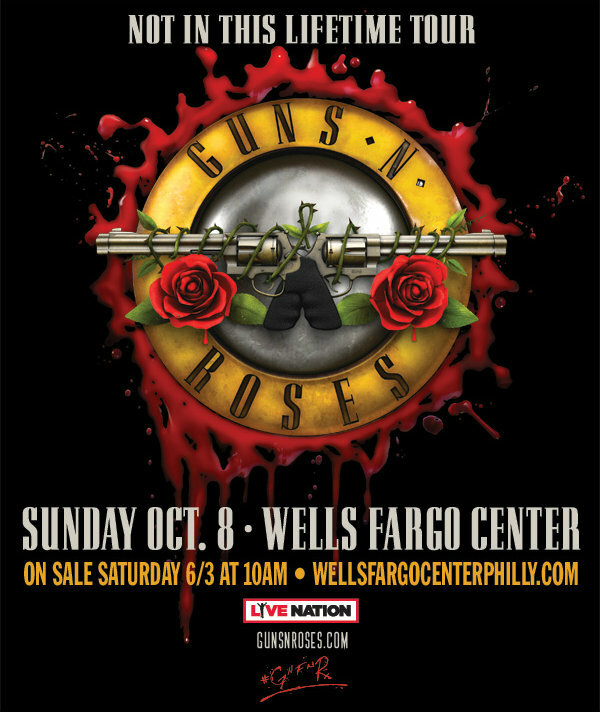 Fan-filmed video footage of GUNS N’ ROSES‘ October 8 concert at Wells Fargo Center in Philadelphia, Pennsylvania can be seen below. The 2017 North American leg of GUNS N’ ROSES‘ “Not In This Lifetime” tour kicked off July 27 in St. Louis, Missouri. The trek features classic GUNS members Slash on guitar, Duff McKagan on bass and Axl Rose on vocals, backed by drummer Frank Ferrer, guitarist Richard Fortus, keyboardist Dizzy Reed and second keyboardist Melissa Reese. According to ticket sales data reported to Billboard Boxscore, box-office grosses from fifteen shows during the summer 2017 North American leg of the “Not In This Lifetime” tour added $53 million in sold ticket revenue to the trek’s overall gross that is now believed to have passed the $300 million mark since its April 2016 launch. About seventy people travel with the show in addition to the truck drivers; that number goes upwards of fie hundred, including the local workers, by show date once catering, security, etc. are factored in, according to the tour’s production manager, Dale “Opie” Skjerseth. GUNS kicked off its long-rumored and long-awaited reunion trek in a year and a half ago with a club show in Hollywood and appearances in Las Vegas and at California’s Coachella festival. The 2016 North American leg, which featured twenty-five stadium shows in twenty-one cities, grossed a whopping $116.8 million with over one million tickets sold.